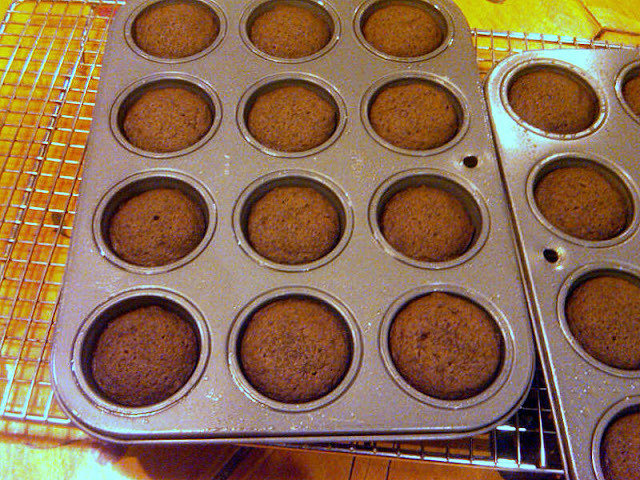 These are really mini-cupcakes, though the original recipe in the c. 1930 Settlement Cook Book, calls them brownies. I call them delicious. They are easy to make, and even easier to eat. I made these last year to serve at a commemorative event for the Triangle shirtwaist fire centennial held at Henry Street Settlement. And I made them last week to serve to colleagues at Henry Street. In my book, having chocolate on the agenda enhances all Friday afternoon meetings. 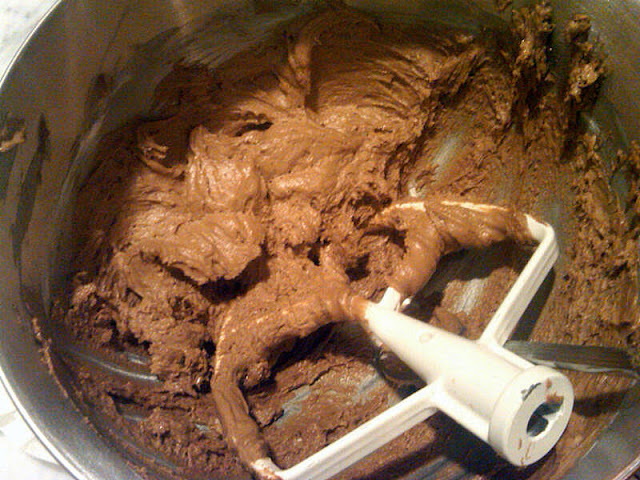 The mocha frosting was wonderful, but I can't share the recipe. Not because it's some guarded secret but because, flummoxed and frustrated with the math required to increase the volume of the original recipe, I just did it by instinct. However, you can use the Magnolia Bakery vanilla buttercream recipe, replacing some of the powdered sugar with cocoa powder, and some of the milk with strong brewed coffee, both to taste. This is a very forgiving recipe if you follow the simple technique, so don't be intimidated. You can use a large star tip on the pastry bag if you want to create a pretty design (and have the frosting task go very quickly) but you can also just dollop the frosting atop the brownies with a small butter knife. Production notes: Here's the original recipe from the Settlement Cook Book. I love that it uses brown sugar, which gives the cakes a richer flavor. Make sure the butter is at room temperature and I used buttermilk for the sour milk. 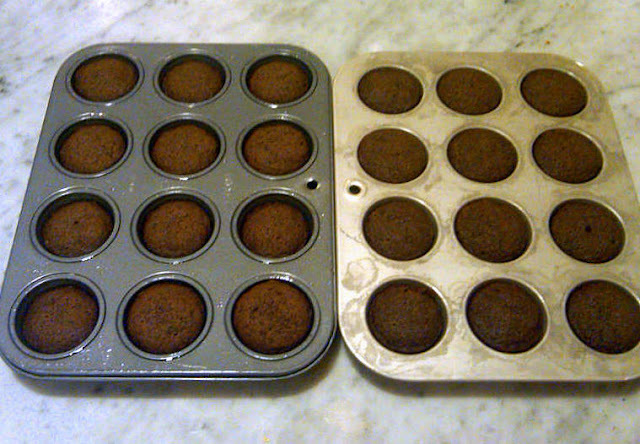 This made 48 mini-cupcakes, not the 60 promised in the recipe. Mix flour and soda. Cream butter and sugar; add egg, chocolate and the milk alternately with the flour mixture. Grease small timbale moulds; place one teaspoon full of the mixture in each and bake in a moderate oven 10 to 15 minutes. Makes 60 little cakes. Frost with Coffee Filling page 327.